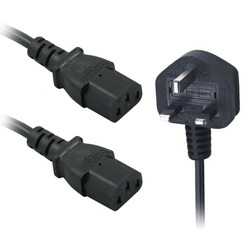 Standard UK Mains power lead used on computers, monitors, TVs and printers. 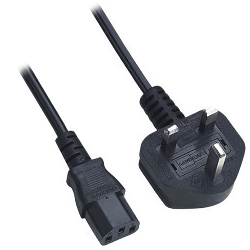 UK Mains power lead used on computers, monitors, TVs and printers. 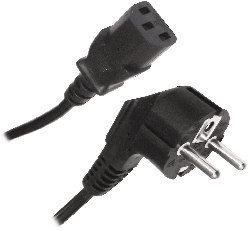 Uses a thicker copper conductor for devices that require a higher current. 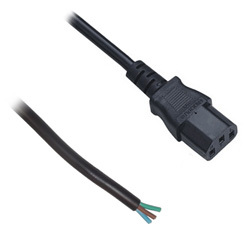 Extend the reach of your power lead with this IEC C13/C14 extension lead. 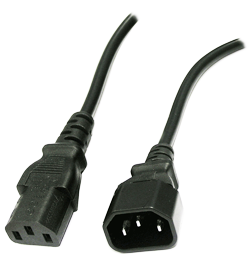 Fits into a standard IEC C13 power cable allowing you to provide power to two devices such as monitors, PCs and printers. 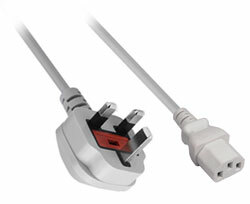 Free up power sockets for other devices. 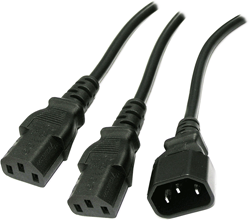 Euro power lead commonly used for Computers, Monitors, TVs (LCD/Plasma) and Computer Printers. 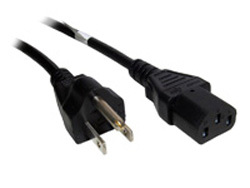 UK Mains power lead used on computers, monitors, TVs and printers. Sometimes known as kettle lead. 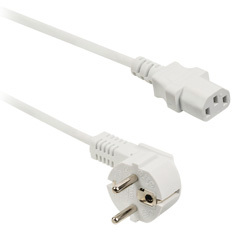 Use only one power socket to power up two devices such as Computers, Monitors and Printers. NOTE: Should not be directly wired to mains. Do not exceed the maximum load.